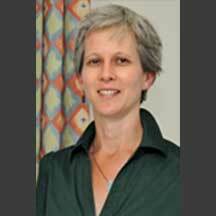 Dr Diana Dalgliesh, MB ChB, DCH, MRCGP is an Associate Specialist Breast Clinician at the RUH. Dr Dalgliesh graduated in 1989 from the University of Cape Town, South Africa. She lived and worked in Paris for a couple of years before moving to the UK in 1995 where she trained as a GP. She began working at the RUH as a Clinical Assistant in the Breast Surgical clinic in 1998 whilst also working as a GP. In 2002 she left general practice to take up a specialist post in the RUH Breast Unit specialising in diagnostic breast imaging and leadership of the Family History Breast Service. She was awarded the Certificate in Breast Evaluation in 2009 and in 2011 joined the NHS Breast Screening Programme based in Bristol.